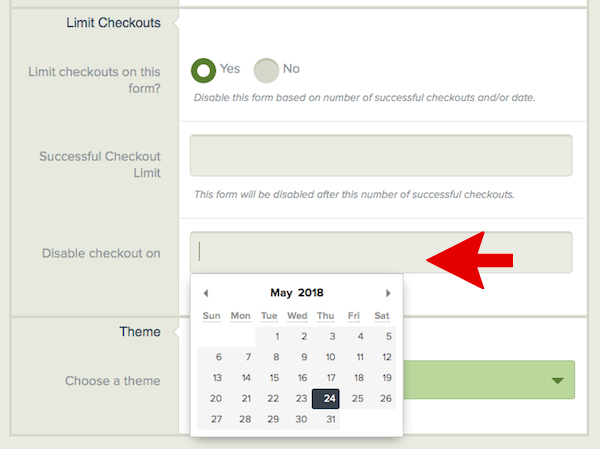 How do I disable a checkout after a certain date? 3) Click in the Disable Checkout On section and choose a date in the future. 5) Your form will be disabled at the very beginning of the day you chose (midnight.) Payers will not be able to check out on the form on the date or any time after it. You can always return and re-enable the form by choosing another date in the future.